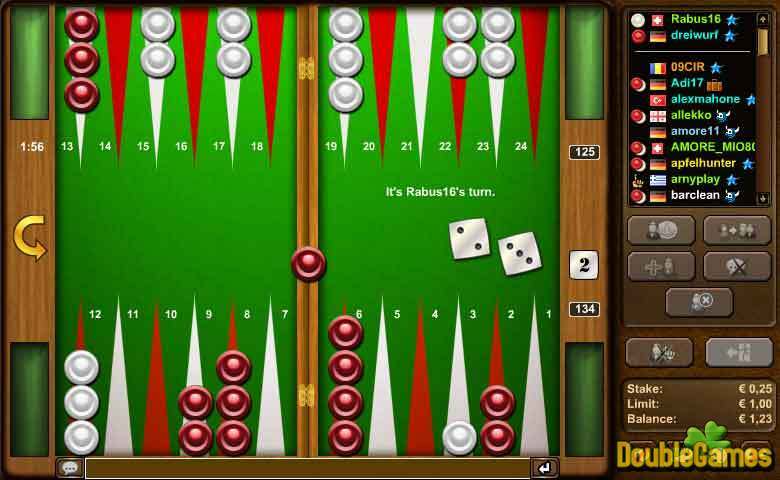 Backgammon is one of the oldest board game for two players. The game board consists of four quadrants that are divided into 6 fields. The object of the game is to bring your checkers into home as quick as possible. The luck plays an important role in the game, but it’s rather difficult to win without strategy. It’s not a simple fun game. 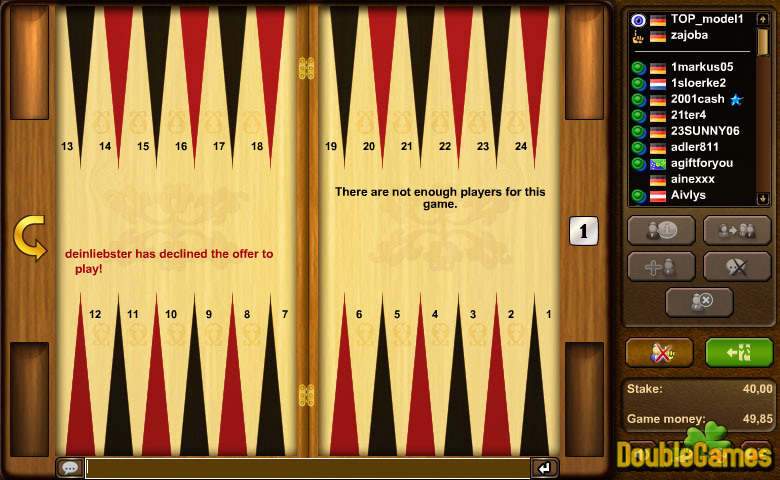 Backgammon demands your skills. 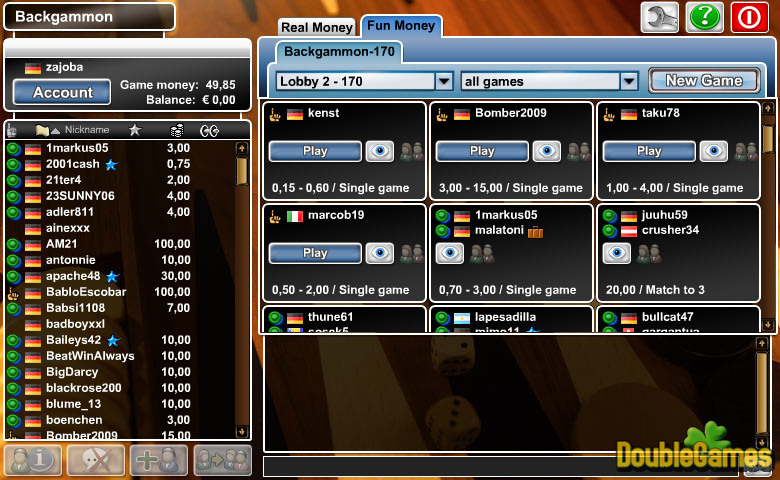 So if you like to think and create your own strategies, this great game will certainly please you!